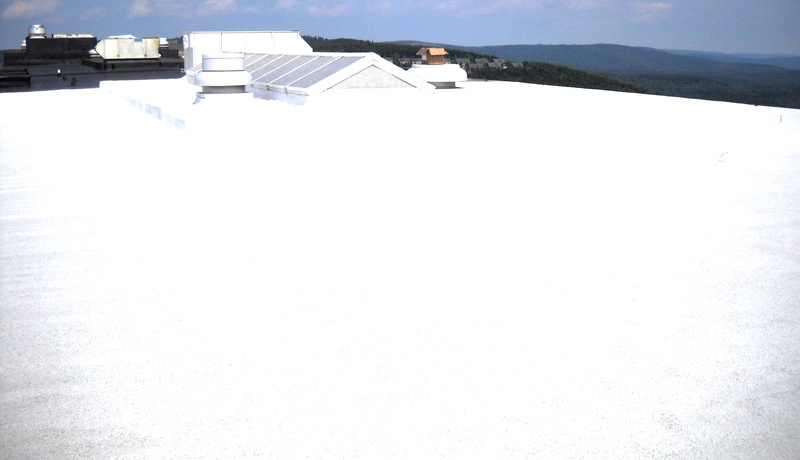 The project consisted of replacing an aged and failing rubber roof with a foam roof that would stop the leaking and provide added insulation value. 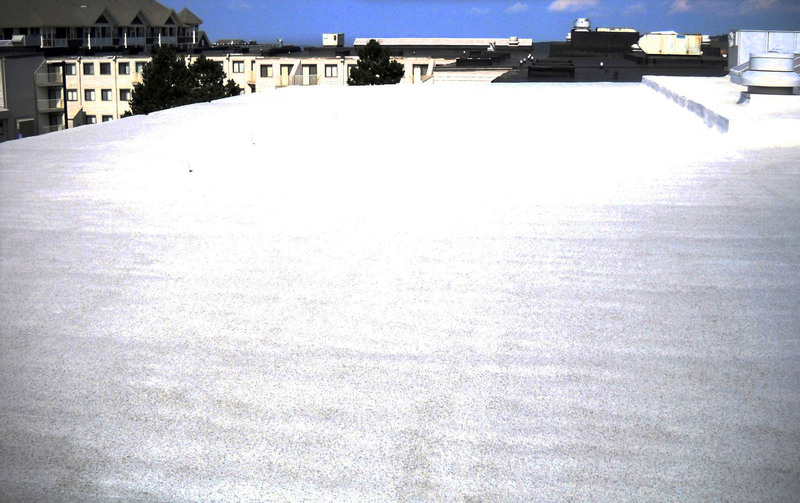 The existing rubber roof was removed, bad insulation board replaced. Chimneys were removed and reframed down the decking height. 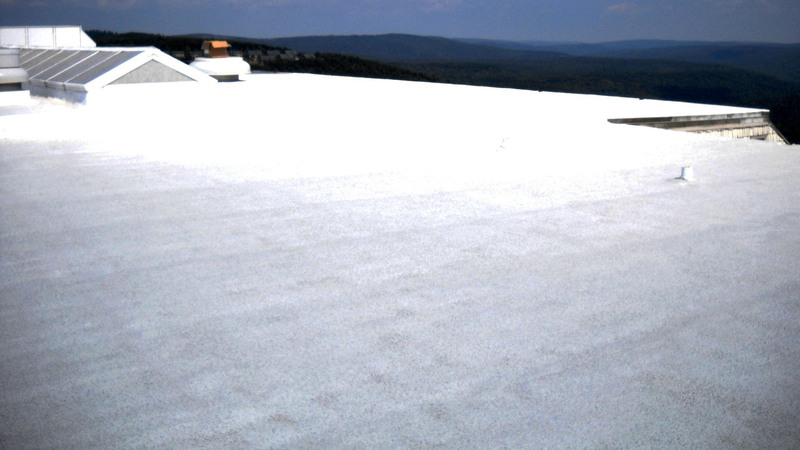 The foam roof system was then applied over the entire surface. 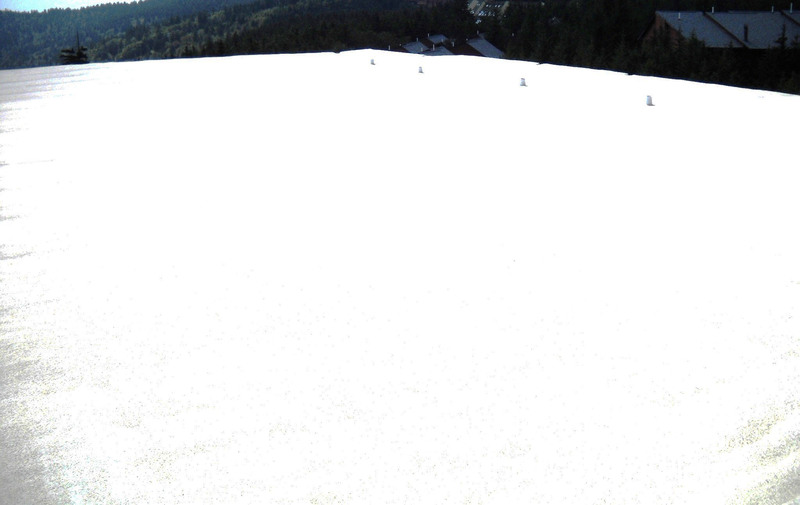 Sitting on top of a mountain gives not only a great view but winds over 25 mph on a daily basis. A spray booth was used to avoid overspray issues and there were no overspray problems. 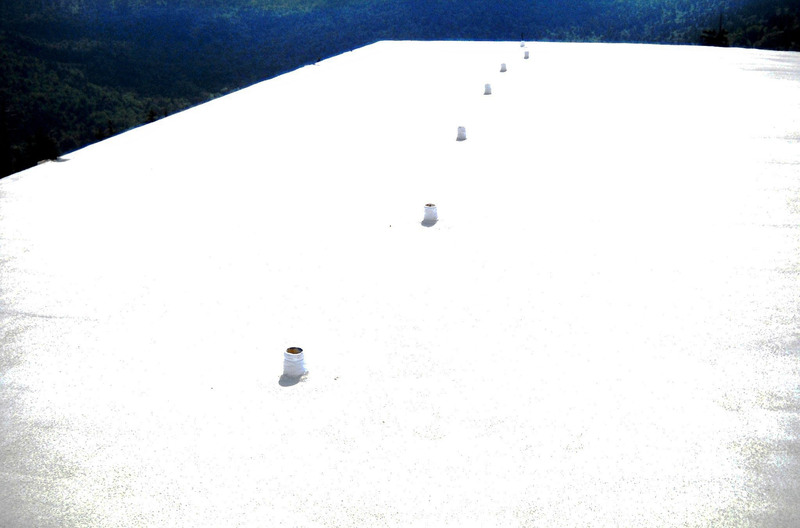 Granules embedded into the top coat for added durability and extended coating life. The owner is pleased that his leaking roof no longer leaks. The increased R-value from the foam system will provide added comfort to guests and reduced energy costs for the owner. 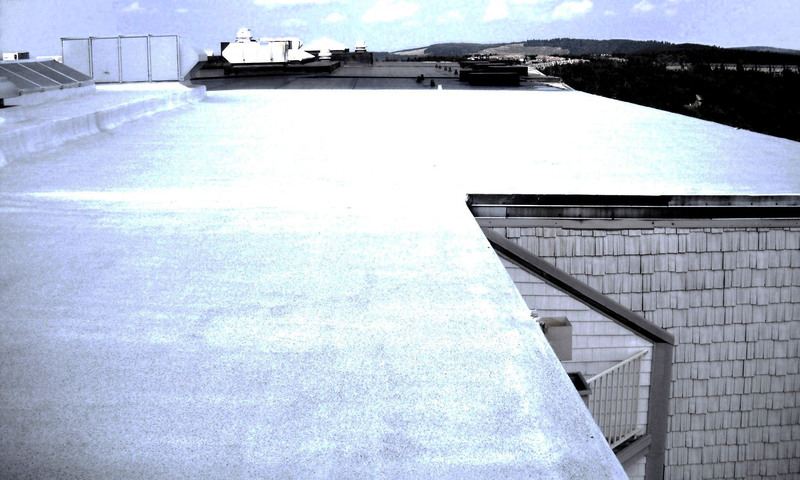 He was particularly pleased that “unlike some of his other roof experiences”, the foam system was applied with minimal to no disruption to the building operations.